Freeman posted 25 touchdowns and six interceptions during the 10-win campaign the year before. Freeman wants to make a statement in this game, and will look for new franchise WR Vincent Jackson, who the Bucs inked to help the passing game in 2012. 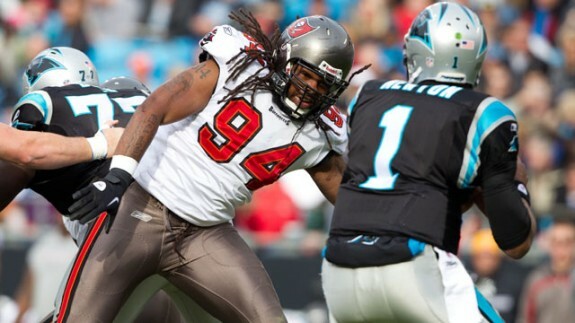 On D, the Bucs will have to keep a spy on Newton, last seasons offensive rookie of the year. Newton threw for 21 touchdowns and rushedfor 14 more – an NFL record for a quarterback. Newton is dangerous, and for a Bucs team that is young and needs a lot of growing up to do, it’s going to be tough for them to shut down the Panthers passing and run game with DeAngelo Williams. Look for Tampa to hang around for about a half, but in the second half it will be too much Newton, and the Panthers will walk out of Tampa 1-0 after a week one win.